IT’S THAT TIME OF THE YEAR AGAIN! NEW YORK COMIC CON! 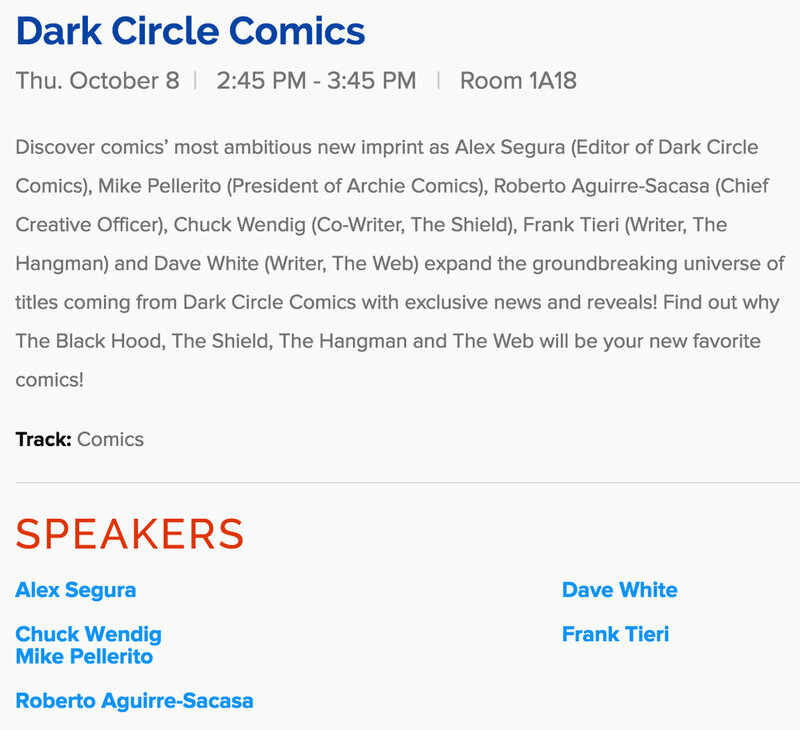 THE GOOD NEWS: I’m going to be on the Dark Circle panel for Archie and just hanging out in artists’ alley. If you see me (I have blue hair) please stop by and we can talk colors! I’m also going to be attending the Female Fandom meet-up. Despite the horrible name, I’m hoping that this meet-up will encourage women who are working in the industry and women who WANT to be working in the industry, to meet up and exchange information. THE BAD NEWS: From my understanding, Matt Wilson and myself are the only two colorists on panels. This is devastating to me and I’m hoping this is just a fluke of under representation that happened this year. Please go to our panels (listed above) to support colorists at NYCC. I will be at the Image panel in support of Matt ((One of my favorite colorists. Ugh. He’s too good you guys)) and I hope to see you there. If there are other colorists that will be on panels– PLEASE LET ME KNOW.